You can see a child’s development by how they play, learn, speak, and act. Parents play a critical role in their child’s development. Providing a safe and loving home and spending time together – playing, singing, reading, and even just talking – can make a big difference! Learn more below about your child’s growth and development and other resources about topics such as developmental disabilities, immunization recommendations, and screening. 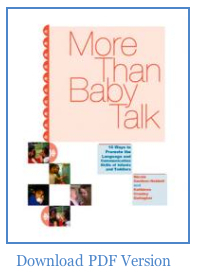 More Than Baby Talk: 10 Ways to Promote the Language and Communication Skills of Infants and Toddlers, a brief guide that describes ten practices that early childhood teachers can use to foster language and communication skills among infants and toddlers. The guidelines are based upon the latest research findings on optimal adult-child interactions for promoting strong language and communication skills among young children. The Centers for Disease Control and Prevention provide lots of information about giving babies a healthy start to life. Start here to learn about Developmental Milestones, Growth Charts, Immunization Schedules and so much more! Time and attention are necessary to make sure infants and toddlers get all the nutrients they need for normal growth and development. It’s never too early to set the stage for healthy eating habits. 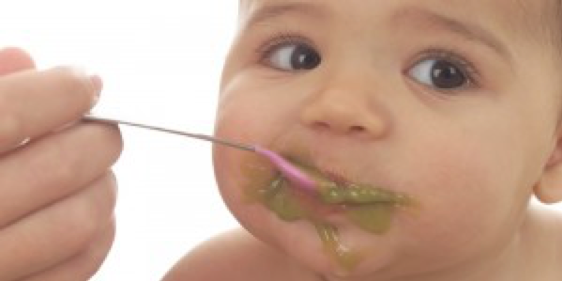 Even in infancy, feeding choices can have a lifetime impact on health and weight. For example, breast feeding can reduce a baby’s risk of some types of infections and illness. It also increases their chances of having a healthy weight later in life. What is USDA’s Choose My Plate? 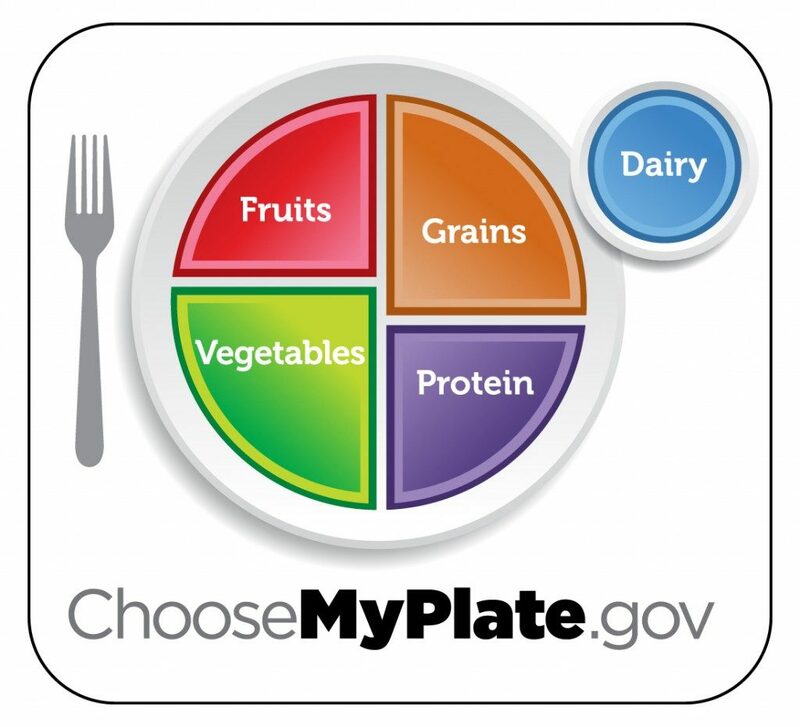 MyPlate is USDA’s primary food group symbol, a food icon that serves as a powerful reminder to make healthy food choices and to build a healthy plate at mealtimes. This visual cue that identifies the five (5) basic food groups from which consumers can choose healthy foods to build a healthy plate. Please visit ChooseMyPlate.gov for resources, tools and specific information about what and how much to eat. Consumers will also find specific recommendations for each USDA Food Group, based on the 2010 Dietary Guidelines for Americans (DGA), including proportions based on research that relate to individual calorie and nutrient needs. At ChooseMyPlate.gov, consumers can determine their individual eating patterns that fit their lifestyle and food preferences. 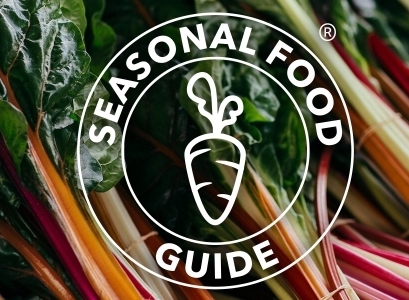 Visit https://www.seasonalfoodguide.org/south-carolina to learn more. In summer, stick with light, cooling foods. These foods include fruits like strawberries, apple, pear, and plum; vegetables like summer squash, broccoli, cauliflower, and corn; and spices and seasonings like peppermint, rosemary, sage and cilantro. There are lots of web resources with information about baby’s growth and development. Check out a few below. Being a parent of a baby or a toddler can be both fun and hard work. If your child is age three or younger, this web page is meant for you and additional links will help you learn how to give your child a healthy start to life. Learn more now at https://www.cdc.gov/parents/infants/index.html. Learn more now at https://www.aap.org/en-us/Pages/Default.aspx. Learn more now at https://www.brightfutures.org/. Learn more now at http://www.ecbt.org/. Learn more now at https://kidshealth.org/.